When learning Chinese characters, there are a number of things that can be really confusing if you don’t know what’s going on. One example of this is character variants and regional standards, which is what I will explain in this article. As you can see, 1 and 2 are slightly different, as are 3 and 4, but they are still the same characters. The first in each pair is the standard used in Mainland China, the second is used in Taiwan. However, this is not about simplified and traditional characters. Instead, these characters have the same meaning and pronunciation, but still look different. In handwritten Chinese, which variant you use matters little and no-one will misunderstand you if you write the “wrong” version. However, when using phones and computers, you will come across characters that are different from what you have learnt. 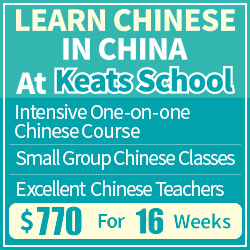 Each time I teach a beginner course in Chinese, I get questions about different fonts and computer characters that don’t look like the characters in the textbook. That’s what this article is about. The former is common in print and digital texts, but the latter is much more common in handwritten texts. They clearly mean the same thing, though. Most people might not even notice which one you use! So, from a practical perspective, they are the same and both are recognised as the same letter, even though they still look different. This is called allography and is a common problem when you learn Chinese characters. The same character can look slightly different depending on what region you’re in or what fonts you have installed. 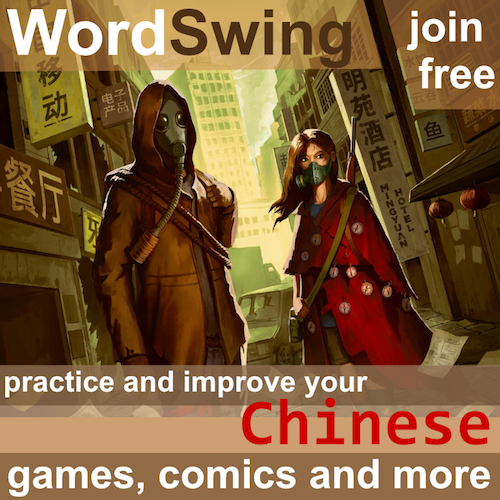 Since this website is about learning Chinese, I will not talk about Japanese and Korean, but you should still be aware that characters can be written somewhat differently in these countries. Here’s an article about differences between Chinese and Japanese. The first group contains characters that are identical from a code perspective (they have the same code point). In other words, if you have a digital text in Chinese including such characters, there is nothing that tells them apart. This means that if you use the wrong font, these characters will be written incorrectly! I have addressed this issue in a follow-up article. The fonts used in this picture are 方正楷体简体 and 教育部標準楷書. As you can see, using the right font is important! 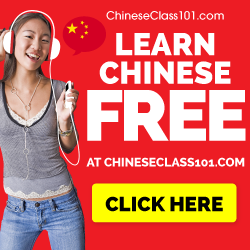 If you want to learn to write both simplified and traditional Chinese, it’s also a good idea to learn about these differences, even though they aren’t examples of character simplification. 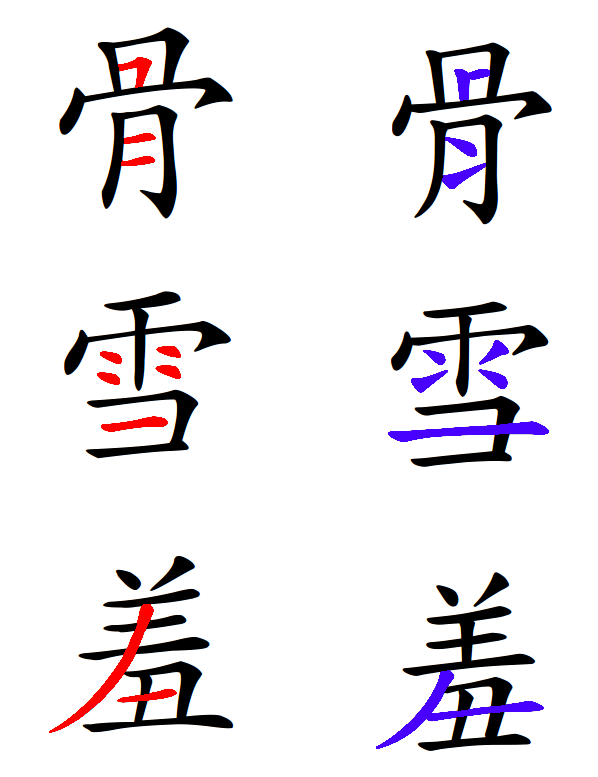 Still, in practical terms, the dividing line is the same (the variants on the left are used in the same area as simplified characters and those on the right are used alongside traditional characters). This means that from a code perspective, they are different (they have different code points), so which one is displayed is not a primarily a font issue (although some fonts might merge them). In some dictionaries, these are actually listed as simplified/traditional in case they are different. It should also be noted that there is a very large number of variant characters and that some are so different that they they can’t be recognised as the same character unless you have studied both variants. However, these are not used often and you shouldn’t encounter them too often. If you need to look them up, you can use this dictionary of Chinese character variants (use 單字查詢 to look up individual characters). 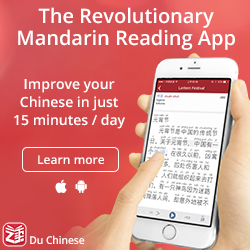 What’s the Difference between Simplified & Traditional Chinese, and are they Separate in Unicode? You sure the red one on the left is mainland? My wife from Taiwan seems to disagree. Which characters in particular do you refer to? The ones on the right use the standard Kaishu fonts issued by the Ministry of Education (Taiwan). This may or may not reflect the way your wife (or any other individual) actually writes.